The sculptor Giuseppe Moretti, who became well known in the United States as a prolific creator of public monuments, was born on this day in 1857 in Siena. Moretti's favourite medium was marble and he considered his Head of Christ, which he carved from a block of Alabama marble in 1903, to be his greatest work. 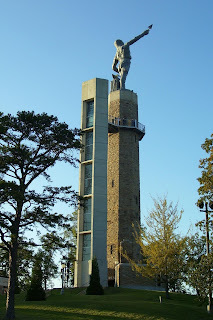 The creation which earned him most fame, however, was the 56-foot (17.07m) statue of Vulcan, the Roman god of fire and metalworking, which he made for the 1904 World's Fair in St Louis, Missouri on behalf of the city of Birmingham, Alabama as a symbol of its heritage in the iron and steel industry. Moretti made the statue in clay in New Jersey before overseeing its casting in iron in Birmingham. Vulcan, the largest cast iron statue in the world, was relocated to Alabama State Fairgrounds after the St Louis Exposition before being moved again to the top of Red Mountain, the ridge overlooking Birmingham, which it shares with a number of radio and television transmission towers. Although he spent much of his life away from Italy, it was in his homeland that Moretti developed his love for art and sculpture. The nephew of Vincenzo Cardinal Moretti, a patron of the arts, he began sculpting at the age of nine with Tito Serrochi, who had a studio Siena. Aware that Florence was the cradle of Italian art, the young Moretti apparently set off on foot one day, following the road sign that pointed towards the Tuscan capital, unaware that it was more than 60km (37 miles) away. He was taken home by a neighbour. A few years later, he reached his intended destination by gaining a place at the Academy of Fine Arts in Florence. Always prepared to move in search of work, Moretti relocated to Carrara to work with marble before accepting an invitation to work in Croatia, where he might have stayed but for a devastating earthquake in Zagreb. Instead, he moved on to Vienna and then Budapest before taking the bold decision in 1888 to emigrate to the United States. 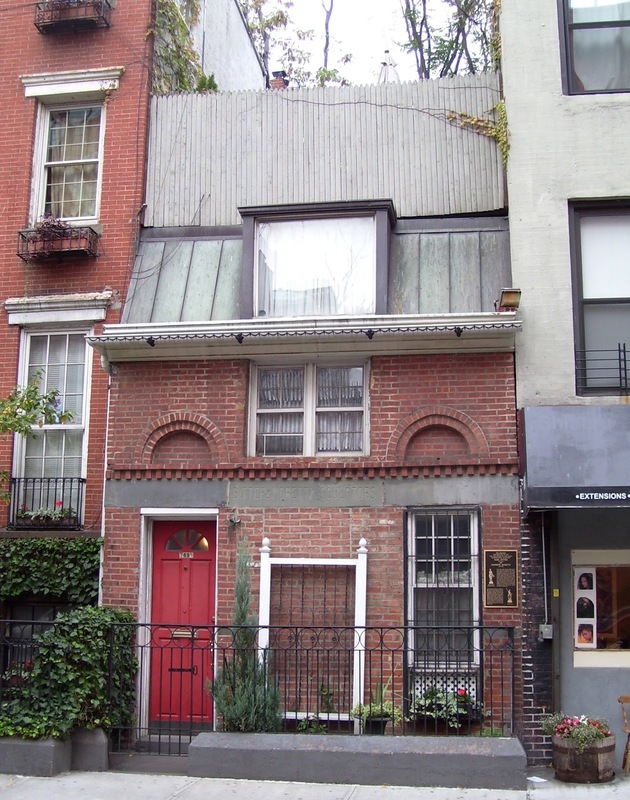 He set up a studio in New York in partnership with the Austrian-American sculptor Karl Bitter, operating from a town house in Manhattan. The architect Richard Morris Hunt hired him for commissions for wealthy clients in Newport, Rhode Island, including William K and Alva Vanderbilt. A keen opera fan and an amateur singer himself, it was around this time that he joined the Liederkranz music club in New York, where he met and became friends with the great tenor, Enrico Caruso. Work took him next to Pittsburgh in Pennsylvania, where he took regular commissions over a 28-year period, beginning with a series of works in the city's Schenley Park. His popularity in Pittsburgh brought him wide attention and the commission to create Birmingham's Vulcan followed shortly afterwards. While overseeing the casting, Moretti visited the marble quarries around Sylacauga and discovered that Alabama marble was of outstanding quality, good enough to rival the Carrara marble that was imported to the United States in large quantities each year. He hauled a block of the gleaming white stone back to his studio in Birmingham and carved The Head of Christ, a work that he carried with him to every place that he lived for the rest of his life. It is now on display at the Alabama Department of Archives and History. Although he was a brilliant sculptor, Moretti was a poor businessman, in that most of his ventures ended badly and cost him money. Ultimately, it became clear that the only way he would make money was from the fees he earned from individual commissions. So he abandoned his ambitions to own marble quarries and focussed again on sculpting. This explains why he was so prolific. In all, he completed 12 First World War memorials, 19 monumental works, six church sculptures, 24 memorial tablets, 14 cemetery memorials, 27 sculptures in marble, bronze, and aluminum, and 27 bronze statuettes. There are at least 17 Moretti works in Pittsburgh's east end. Moretti's notable work in Pittsburgh includes two imposing entrances to Highland Park and four bronze Panthers erected on Panther Hollow Bridge. In 1905, Moretti married Dorothea Long, a member of an aristocratic Boston family, in her hometown of Brookline, Massachusetts. Two years later, he encountered the work of Geneva Mercer, a student, whom he took on as an apprentice and then his assistant. He decided to travel again and in 1909, with Dorothea and Geneva, left Alabama. During the next 13 years they lived in New York City, Florence, Havana and Pittsburgh. One of his great achievements during this period was to complete, with Mercer's help, 97 sculptures for the Gran Teatro de la Habana in Cuba. 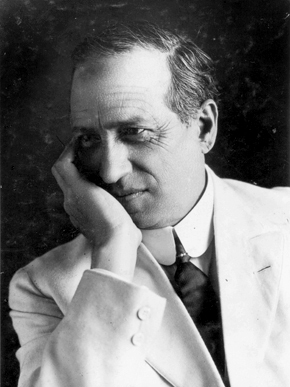 When he suffered another business failure in 1925, and with his health beginning to fail, Moretti decided to return to Italy, settling in a large villa and studio in Sanremo, where he died in February 1935. 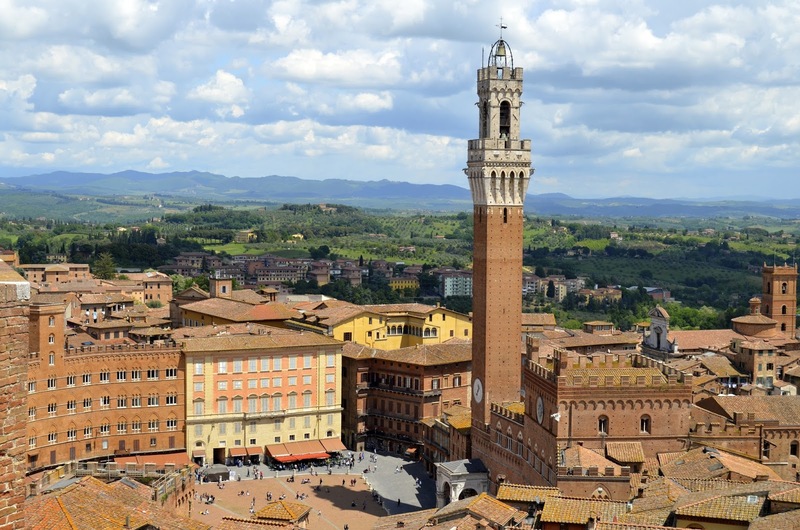 Siena is best known for the twice-yearly Palio, the horse race between the city's rival contrade (parishes) that takes place in the city's expansive Piazza del Campo, but there are many other good reasons to visit. 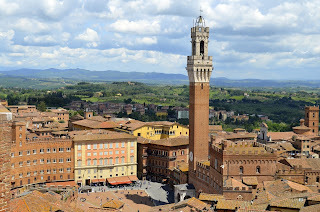 Among them, dominating the piazza, is the 800-year old castellated Palazzo Pubblico, which contains frescoes by Ambrogio Lorenzetti, Simone Martini and Duccio, and the adjoining Torre del Mangia, at 88m (289 feet) high the third tallest tower in Italy. Visitors wanting to enjoy the stunning view from the top need patience and stamina. A restriction on 25 people inside the tower at any one time can mean a lengthy queue in high season, followed by a 300-step climb. The Academy of Fine Arts in Florence can be found in Via Ricasoli, next door to the Galleria dell'Accamedia, which houses Michelangelo's original David. An instructional art academy, it was founded by Cosimo I de' Medici in 1563, under the influence of the artist and historian Giorgio Vasari. It was both a guild for working artists and a body of established artists responsible for supervising artistic production in the area. Members have included Vasari, Michelangelo, Lazzaro Donati, Francesco da Sangallo, Agnolo Bronzino, Benvenuto Cellini, Bartolomeo Ammannati, and Giambologna.